The programme, ‘Lithodomos VR | Virtual Reality Archaeology‘ is an android app that was developed by Simon Young, an archaeology doctoral student at the University of Melbourne. 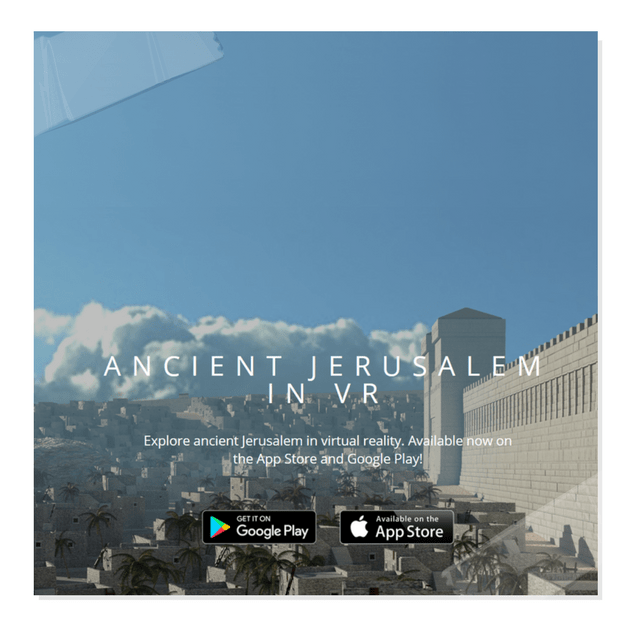 Visitors can use the VR headset to transport themselves to the ancient city when it was newly built under Herod I who was king of Judea from 74 BC- 4 BC. The VR scenes are based on the archaeology of the Temple Mount in 20 BC before it was destroyed by Roman troops in 70 AD. The app was launched in December 2016 and costs $1.99 (£1.59) on Google Play, and $2.99 (£2.39) in the Apple App Store.